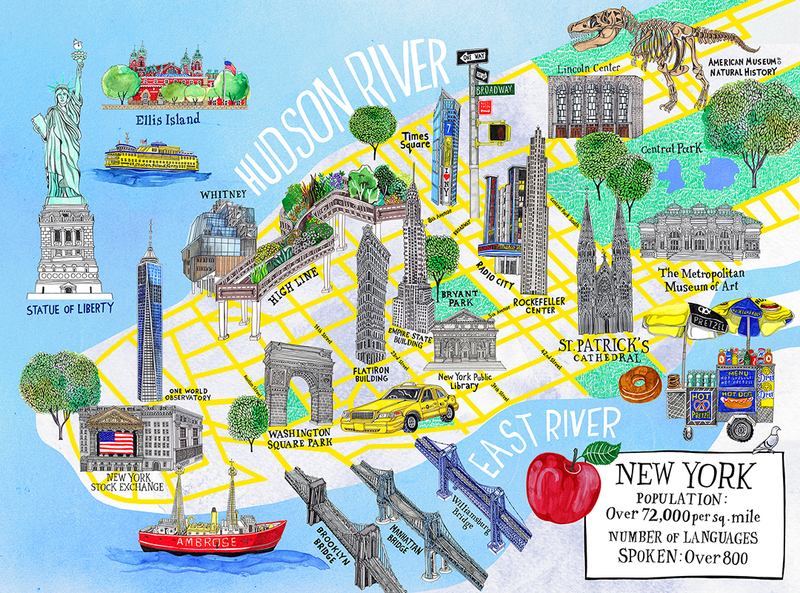 Hennie Haworth created this fabulous map of New York for a 1000 piece puzzle for Galison. Hennie’s map features New York’s most famous neighbourhoods and landmarks, her vibrant colours and energetic line work really bring the city to life. To see Hennie’s portfolio, click here. Hennie Haworth is represented by Kids Corner. Published on 1 February 2018.